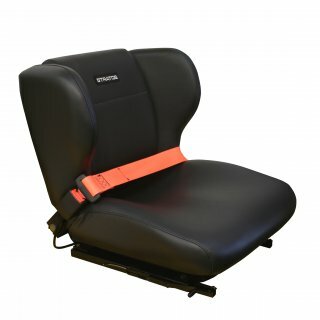 With over 15 years service in the Australian forklift industry, the Stratos 743 forklift seat is a proven performer. The 743 has set the benchmark for forklift suspension seats. The ride quality, comfort and durability of this seat make it outstanding value. This seat is well suited to lift trucks as well as skid steers. Available with bolt patterns to suit Nissan, Yale and Hyster. Note - Seat belt can be removed on request. Marine grade UV/sweat resistant vinyl.